Acer Aspire 1 A114-31-C4HH Laptop Review - Best Budget Notebook? Acer has been beating around the bush in the laptop’s arena for quite some time now. The company is globally renowned to provide value for money, powerful laptops to suit various needs. Although the company has a decent market share and value in selling their top of the line high-end laptops, it was still lagging in meeting the demands of a powerful budget-friendly device. 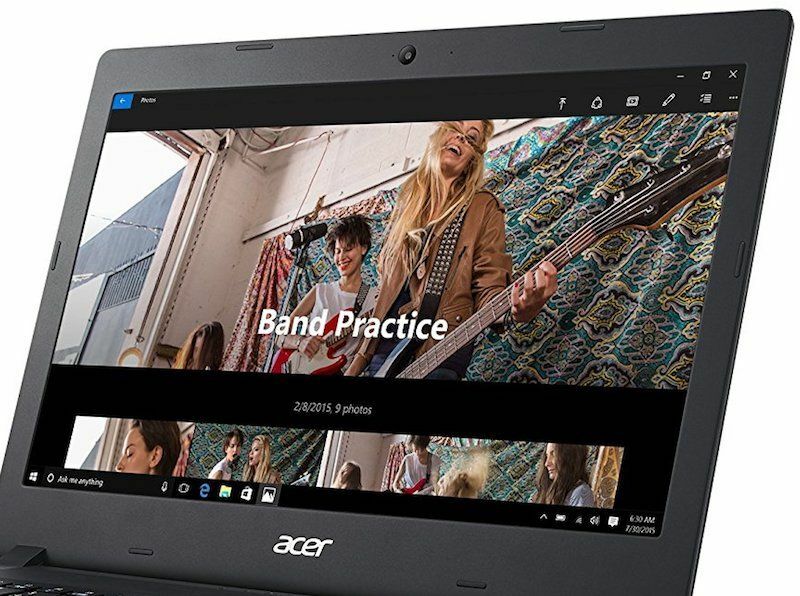 Considering the growing global demands for budget-friendly compact notebooks, Acer has partnered with Microsoft and introduced the Acer Aspire 1, which is one of the most inexpensive Windows 10 based laptop in the market. 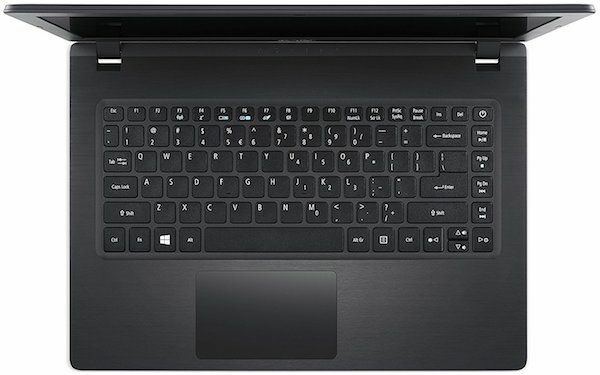 During our inculcating time with this high-on-features yet, low-on-budget notebook, we managed to gather a lot of information which will undeniably, answer all your queries about the Acer Aspire 1 A114-31-C4HH Laptop. Without bragging more about the laptop. Let’s quickly dive into the review. NOTE: The new variant of Acer Aspire 1 is already launched. You can read the full review of 2018 Acer Aspire 1 (A114-32-C1YA) laptop here. Acer Aspire 1 comes in a polycarbonate chassis and is cladded in a charcoal-grey exterior. The laptop comes with a brushed metal finish, which adds to the premium factor for the laptop. It is thin, compact, portable, and comes with a beautiful tactile finish. Thanks to its texture and form-factor, the laptop offers good grip to carry around. The laptop weighs just around 3.6 pounds and measures 13.5 x 9.65 x 0.71 inches, which is now a standard for these 14-inchers. The screen is surrounded by thick bezels in a matte-black bezel, and rubber cladding covering all sides. All the ports and connectors are neatly recessed at either side of the laptop. The Acer Aspire 1 A114-31-C4HH laptop features a 180-degree hinge, so the keyboard and screen can lay flat together. This feature makes it an ideal choice for a group of kids to huddle around a desk and allows the users to adjust the screen to whatever level, they are most comfortable with. On a conclusive note about the design and finish of the Aspire 1, although the laptop doesn’t offer a lot of fancy flairs, it certainly ticks all the design essentials including built quality, finish, grip, and portability. Acer Aspire 1 comes with a 14-inch Full HD display, which is a rare scene for a laptop priced under $300. It comes with a widescreen display with a resolution of 1920×1080 pixels. Considering the specifications, the laptop is unarguably a great bargain for the price. Now let’s speak about its real-time performance. The device comes with a very crisp and sharp display panel, which offers adequate colors with precision. During our review, we extensively used the laptop to watch high definition content and 4K content. When I viewed the aforementioned content, I noticed that although the blacks on the screen were slightly dull and less punchy, it was able to reproduce good color gamut, which we hardly see in a laptop at this price. Although the design is one of the strong points of the Acer Aspire 1, the hardware and specifications are yet another unique selling point of this laptop. It sports an Intel Celeron N3450 Quad-Core Processor which can throttle up to 2.2GHz. The processor is paired with a 4GB of RAM to handle multitasking and applications on the device. The device comes with a mere 32GB of onboard storage, which cannot be, however, further expanded by putting a bigger SSD or HDD. Graphics on the laptop are handled by the CPU’s integrated Intel HD Graphics 500 GPU, which although isn’t meant to handle high-end games, can still take on moderate graphics with ease. Other specifications of the device include connectivity options such as 802.11ac WiFi featuring MIMO technology. It also sports a dual-band 2.4GHz and 5GHz to boost up the connectivity speeds. Considering the price point at which the laptop is being sold, trading-off with some hardware feels absolutely fine. As long as your expectations are in check, the Acer Aspire 1 A114-31-C4HH laptop will not disappoint you. 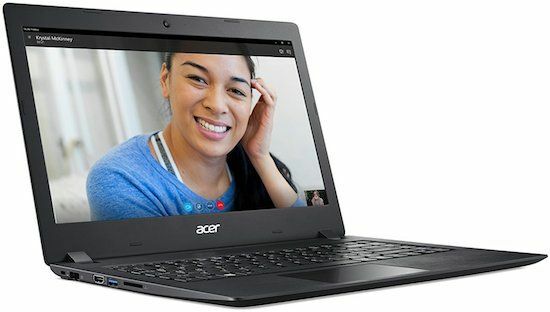 Acer Aspire 1 A114-31-C4HH laptop comes with a VGA front facing webcam, which does the work of capturing images and aiding video calls. The maximum resolution of the webcam on the Acer Aspire 1 is 640×480 pixels. The images captured on the camera felt slightly underwhelming and turned out grainy. The video calls on the laptop were serviceable. On a conclusive note, the webcam on the Acer Aspire 1 doesn’t come with anything worth mentioning but it certainly does the basics well. The Aspire 1 offers a long list of connectivity options and ports. All the ports and connectivity slots on this laptop are equally distributed on its either sides. Accordingly, it sports 1 USB 3.0 Port, a HDMI port with HDCP support, and an SD card reader on its left edge. Whereas the right corner of the laptop contains 2 USB 2.0 ports and a 3.5mm Audio Jack. Acer preloads the Aspire 1 with the Windows 10 Home variant and with just a handful of utilities that makes the laptop free from unnecessary bloatware. 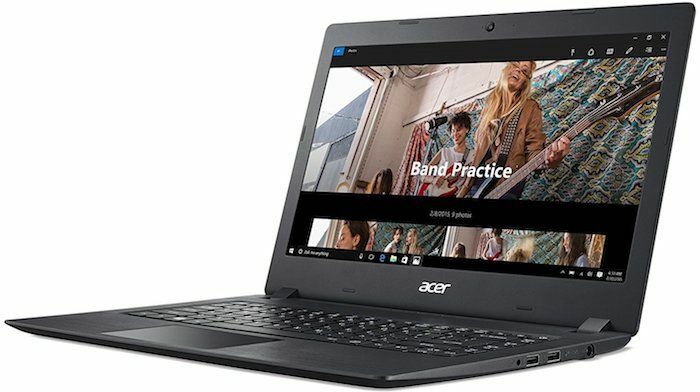 The laptop also comes with some of the Acer’s proprietary software and tools including the Acer Care Center, which monitors the system health and provides the information about the software updates. Like in most of the latest Acer laptops, The Aspire 1’s Power Button comes with a customisable option to perform multiple options. And all these options can be customised and easily set through the Windows 10 control panel. Speaking about the Acer Quick Access, the software allows you to quickly enable or disable the blue light-reduction mode and aids in setting up a quick hotspot. Apart from them, the laptop comes with a standard load of casual games, tools, and trialware. On a conclusive note, the laptop does offer a sturdy and well-rounded software. The Aspire 1 as mentioned above comes with a decent set of specifications. However, specifications alone cannot predict the regular daily usage. The laptop takes about 10-12 seconds to boot the Windows 10, which is rather slow. All the apps take a while to load and heavy applications such as the Chrome might take another 5-10 seconds to show up. Thankfully, the RAM management on the device seems to work just fine and multi-tasking was good and smooth. During our time with the laptop, we pushed it to its complete throttle and threw a hard set of applications and requests simultaneously. The laptop to our surprise did pretty well, and was able to handle most of the tasks well. As far as the benchmarks are concerned, the Acer Aspire 1 A114-31-C4HH laptop performs well in numbers considering the specifications. We managed to get a handsome 2044 and 2100 points in PCMark 8, which are very commendable considering the processor. While the number always doesn’t reflect the performance, all we can say is, we were pretty satisfied with the overall performance of the Aspire 1. Speaking about the gaming capabilities of this budget-friendly notebook, it is provided with the Intel’s integrated Intel HD Graphics 500 GPU. Do note that, the laptop doesn’t come with any other additional graphics processor and is, therefore, not an ideal machine, if you’re looking for a gaming-stationed laptop. Although it is capable of rendering decent graphics and pictures in the videos and lighter games, it simply cannot run high-end games. Acer Aspire 1 comes with a pair of built-in stereo speakers, which are neither weak nor are groundbreaking. That said, the speakers are powerful enough to pump up an audio experience in a small room. The speakers are capable of providing clear and distortion free audio output. We played some HD, Full HD, and 4K content on this laptop, to which it responded well. Thanks to its full HD display, the colors were well reproduced and we had a good time using the laptop as a source of entertainment and multimedia. The Acer Aspire 1 comes with a 2-cell Li-Ion Battery of 4810 mAh. The laptop being provided with the right set of hardware and features, it provides a very impressive battery backup of up to 9 hours of continuous usage. During our time with the laptop, it did provide exceptionally good backup and was able to provide a screen on time of over 8 hours on one full charge. The laptop gets fully charged in just under 2 hours 30 minutes, which we feel is pretty ideal. It is worth noting that, the laptop doesn’t get warm even while charging and using it simultaneously. Acer Aspire 1 is a mixed bag. That said, there are aspects which makes it tough to believe that it’s a laptop priced at around $200. While, on the other hand, few aspects of the laptop really disappoints, especially, the non-expendable internal storage. 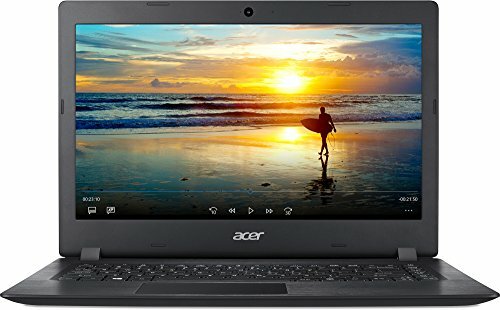 Considering every aspect of the laptop, it is quite evident by now that the Acer Aspire 1 is a very affordable and an excellent value for money notebook. For those, who are tight on budget, but wants to stay productive through the versatility of a laptop, then it’s undeniable that there is no better substitute for the Acer Aspire 1, in its segment. The clumsiest guy on tech. 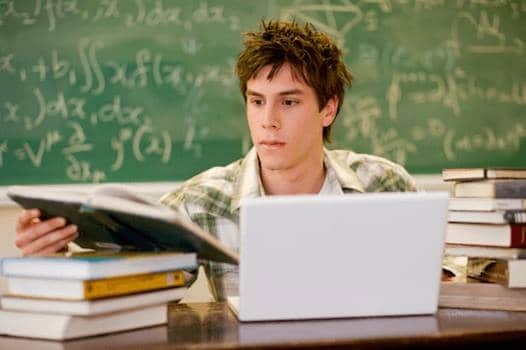 The one who probably spends his entire time either testing new laptops or writing about the laptops. You will find most of the laptop buying guides wrote by him on the site here. How big of an SD card can this use? It supports standard SD cards, if you want to use the microSD card then you will need an SD card adapter. What is the best way to add storage to this laptop? I just purchased this laptop and have used 22 of 29 GB’s just by initiating windows. The easiest way would be inserting a high capacity SD card and using it as a permanent storage for the laptop. Can I install Microsoft Office basic package on this laptop? Yes you can but storage space on the laptop is very limited so you’ll have to store your other files elsewhere.